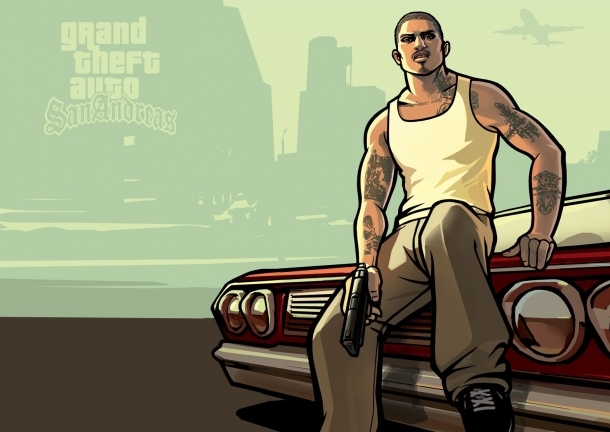 Weapons are an important part of Grand Theft Auto: San Andreas, as you will need them to help take out rival gangs and anyone else who gets in your way. You can find weapons as pickups, or you can buy weapons at Ammu-Nation after finishing the "Doberman" mission. You won't be able to buy all of the weapons from the start, but as you complete more missions, more will become available. There are a total of 12 weapon "types" that CJ can use, with each one having a certain set of weapons available in it. You can only carry one weapon of each type, and if you want another weapon of that type, you need to replace the first weapon. 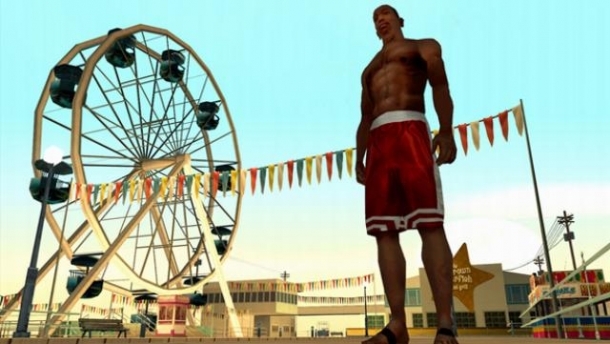 A new feature in San Andreas is skill levels for weapons. As you shoot accurately, your skill level will increase. There are three skill levels; Poor, Gangster, and Hitman. The weapons that have skill levels available are as follows: AK-47, Combat Shotgun, Desert Eagle, M4, Micro-Uzi, MP5, Pistol, Sawn-Off Shotgun, Shotgun, Silenced Pistol, and Tec-9. The Gangster level is reached between 20-50% and when it is reached, you're able to move while aiming and your lock-on range, accuracy, rate of fire and strafe speed increases. The Hitman level is reached at 100% and all of the above are increased further when a weapon reaches that level. Four of the above weapons (Micro-Uzi, Pistol, Sawn-Off Shotgun, and Tec-9) get the ability for dual-wielding when they reach the Hitman level; just pick up another of the same weapon to gain that ability.